She's one of Shakespeare's most fascinating characters, so it's only right that choreographer Kally Lloyd-Jones treats her with the complexity she deserves in multi-layered dance theatre piece, Lady Macbeth: Unsex Me Here. 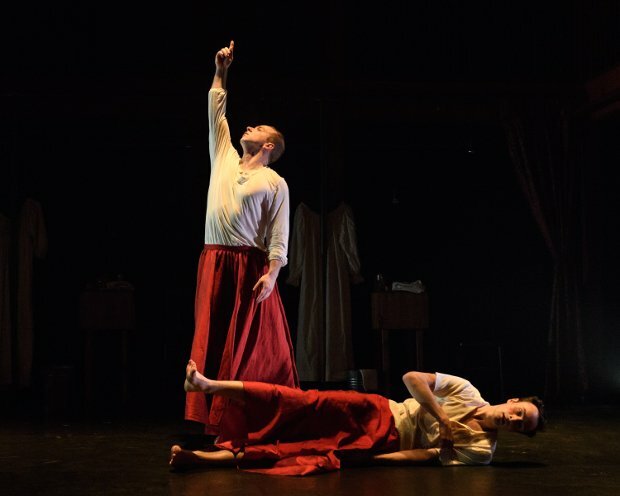 Danced by not one but three performers – all of whom are male – the show captures the psychological inner workings of Macbeth's wife as the couple slips deeper and deeper into violence and tragedy. Created in collaboration with inclusive theatre company Solar Bear, Lloyd Jones has also peppered subtle moments of British Sign Language (BSL) throughout the piece. Either way, Lloyd-Jones has worked hard to depict the parts of Lady Macbeth the play doesn't reach. Dance Base, 8–27 Aug (not 14, 21), 8pm, £12 (£10). Previews 4–6 Aug, £10 (£8).